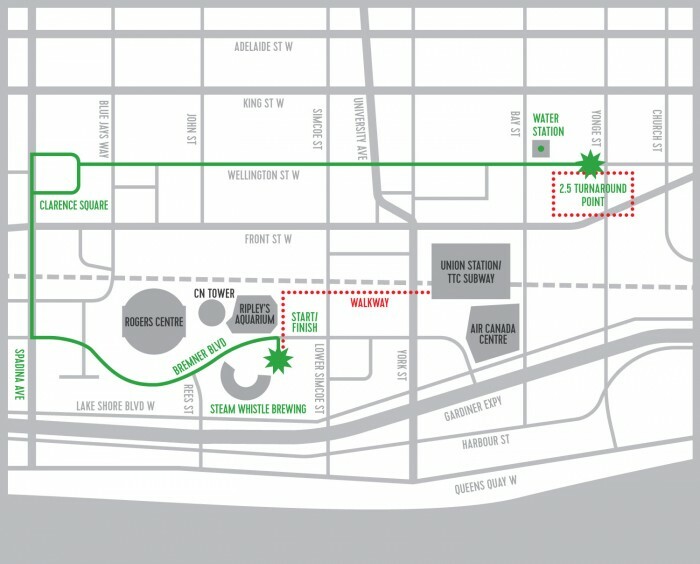 The annual Achilles St. Patrick’s Day 5K Run/Walk is a five kilometre run or walk (your choice!) through the heart of downtown Toronto. we’ve sold out the last twelve years! Thursday, March 15th, Friday, March 16th, Saturday, March 17th for only $50. Race Day, Sunday, March 18th your entry fee will be $60. Toronto, ON M5J 3A6 . We will be on the 2nd floor in conference room Riverdale. There is guest parking for a fee in the underground parking lot of the hotel. You can also park for a couple of minutes on Bremner Blvd. just east of Lower Simcoe on the north side curb lane. 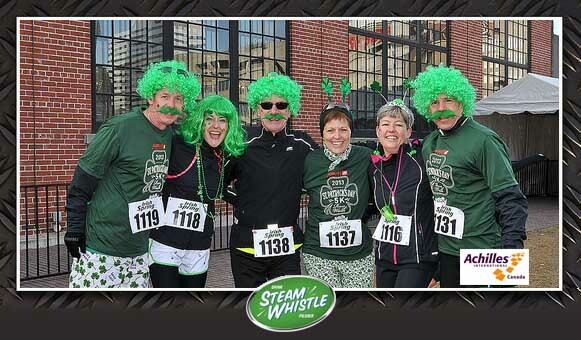 Out of Towners will be able to Pick-up their kits on Race Day, March 18th at Steam Whistle Brewing, 255 Bremner Blvd. starting at 8:30 am. March 18 10:30 AM EDT - Race Starts Sharp!!! No late start for anyone!